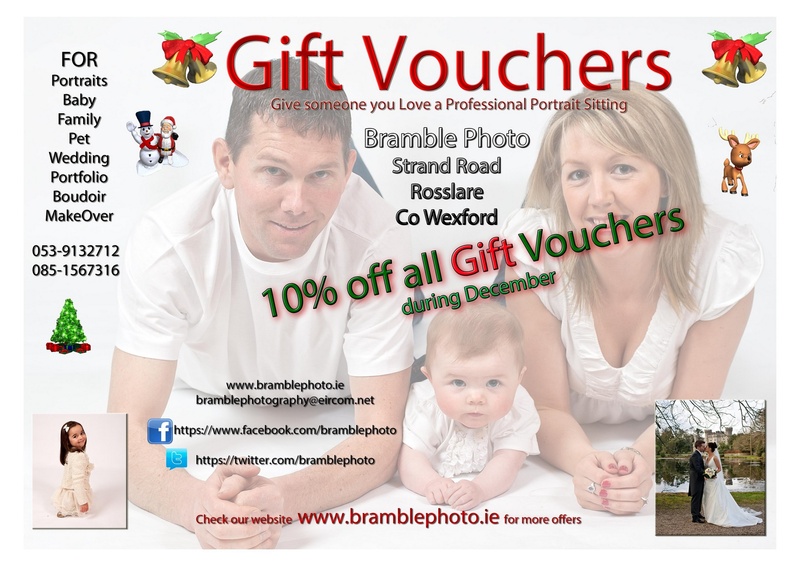 Relive all those years and precious memories of Newborn, Christening, School, Communion, Confirmation, Birthday, Graduation etc, with a Bramble Photo portrait Session. Studio sittings are an investment into the memories you wish to hold and can be pre-booked to suit family times. Environmental Portraiture is fast becoming very popular with families preferring to be photographed at their favorite outdoor location, e.g, woodland, countryside or beach settings. Bramble Photo provide a diverse range of finishes for your prints from block and canvas mountings to acrylic and traditional framing. Gift Vouchers are an attractive alternative to the traditional gift and have memory value that will last a lifetime. They can be purchased for any amount and don’t have an use before date.